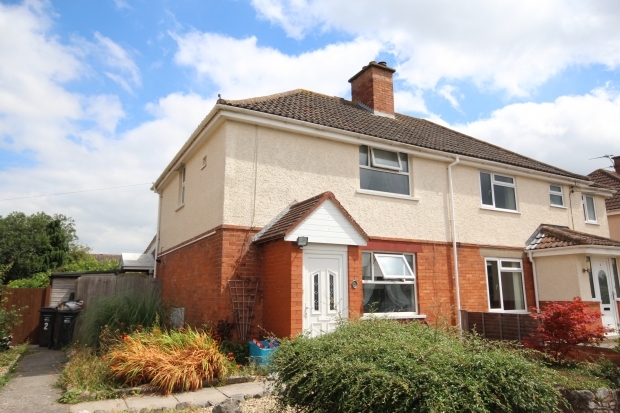 Dyers Green, North Petherton, Bridgwater TA6 6LZ is a particularly spacious extended three bedroom semi-detached house situated in a non-estate position near the centre of this popular village which is itself approximately 3 miles south of the town centre of Bridgwater. North Petherton offers excellent amenities including numerous shops, primary school, church, butchers, post office, doctors surgery and regular bus service. The property is also conveniently located for the M5 motorway being approximately one mile away from its nearest junction. 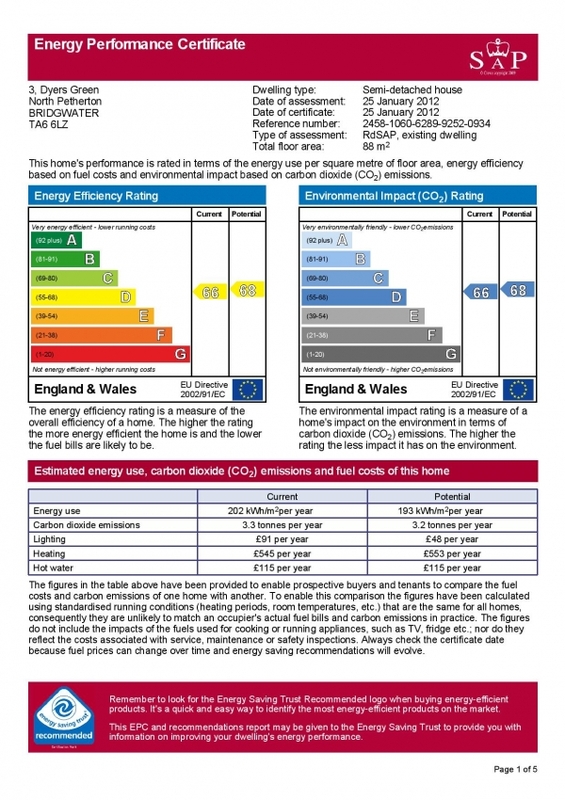 The property which is believed to have been built approximately 65 years ago is constructed of cavity walling under a pitched, tiled, felted and insulated roof with a rear extension constructed under a tiled, felted and insulated roof. The excellent accommodation briefly comprises; Entrance Porch, Entrance Hall, Lounge, extended Kitchen/Diner, Rear Hall, Bathroom and separate Shower Room, whilst to First Floor are 3 good sized Bedrooms. The property benefits from gas fired central heating, UPVC double glazed windows and doors and all floor coverings included in the asking price. There are good sized gardens to both the front and rear of the property together with two off road parking spaces to the front of the property. To conclude this is a very spacious property situated in a non-estate position close to all village amenities and there is no onward chain and as such early viewing is recommended to avoid disappointment. ENTRANCE PORCH UPVC entrance door. ENTRANCE HALL Tiled floor. Stairs to first floor with a recess providing plumbing for washing machine. LOUNGE 14’0” x 11’ Attractive inset electric fire to fireplace opening. Large built-in alcove to one side. Radiator. Carpet. REAR HALL Tiled floor. Double door airing cupboard with factory lagged copper cylinder, immersion heater and shelving. BATHROOM Panelled bath, wash hand basin, low level WC. Spotlights inset to ceiling. Coving. Tiled floor. Half height tiling to walls. SEPARATE SHOWER ROOM 6’6” x 5’10” Extra wide shower cubicle with mains shower over, shower screen door, fully tiled. Spotlights inset to ceiling. Radiator. All walls fully tiled. BEDROOM 1 14’8” x 9’4” Feature fireplace. Large walk-in cupboard. Radiator. Carpet. BEDROOM 2 10’7” x 9’3” Radiator. Carpet. Fitted double door wardrobe. BEDROOM 3 8’4” x 7’6” Radiator. Carpet. OUTSIDE To the front of the property two concrete hardstanding parking spaces. Raised and well stocked beds and borders with numerous shrubs, plants and flowers. Paved patio area. Side path leads to side gate. Outside tap. Large SHED 9’3” x 6’1” with spotlights, power points and working surface. The rear garden is of a particularly good size with feature decking area with wrought iron decorative surround. Stone chipping area with pagoda leading off and mature grapevine, trellis and arched opening through to good sized lawn, mature stocked shrubs and plants. Large SUMMERHOUSE with inset separate storage area with two further storage areas either side.